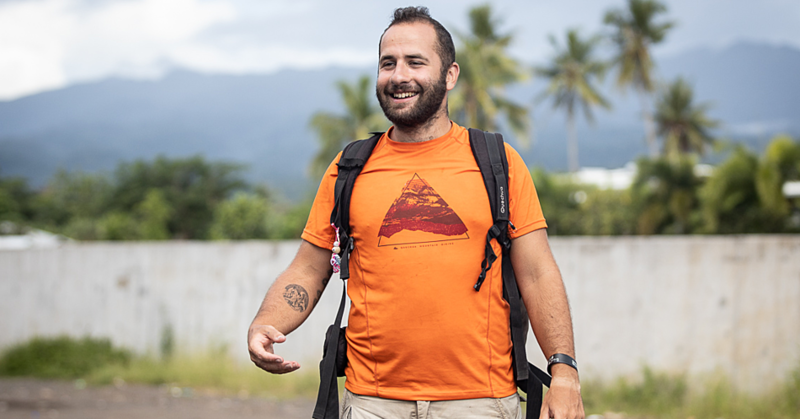 Samoa Stationery and Books Ltd has awarded its SSAB/NZ Prime Minister Scholarship awards to 18 students as part of the firm’s back-to-school promotion. Tofilau Fiti Leung Wai, SSAB president and CEO, said the students as part of their award will receive $500 cash for school fees, $500 worth of school stationery, full access to the SSAB Staff Children’s Library on Saturdays, and for the senior scholars — an opportunity to become part of the SSAB apprenticeship programme. This year will mark five years of the scholarship support programme — only 18 scholars will receive support instead of 20. According to Tofilau, they did not receive the other two nominees from one of the selected schools. Mrs. Leung Wai congratulated the students that were selected to receive this year’s scholarship support and asked that the parents help their children’s education. “To the parents, my humble advice is that you help your children with their homework, and to encourage them with their studies and reading. Children do your best in school, study hard and read every day,” she said. Six-year-old Palepa Lino Gray who was nominated by Vaivase Primary school was the youngest scholar that took the opportunity to thank the Tofilau and the company. “Thank you Tofilau and SSAB! When I grow I up I want to work at SSAB,” she said. 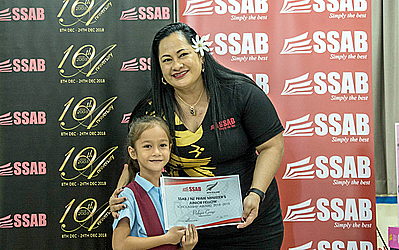 This year SSAB awarded scholarships to Mery Kini and Sialei Metini of Satupaitea Primary School, Savai’i. Speaking at the event, Mery said she was grateful to the company for the support. “I am very grateful to SSAB and especially to the general manager Tofilau Leung Wai in receiving a scholarship. I will do my best in school so that I can continue being SSAB scholar,” she added. A testimony by former SSAB scholar, Joycemariella Toafa, who is pursuing a double degree in Information Technology and Commerce at the University of Melbourne, highlighted the importance of education. “Please remember while you are in school that you are not only doing this for the betterment of the future but you are also working for the betterment of your family. And the key to success is education,” she said. Four SSAB scholars were awarded scholarships to further their studies overseas last year. They were Joycemariella Toafa (Australia), Charles Salevao and Layla Stanely (New Zealand) and Ronella (Fiji). This is the fifth year for the SSAB/NZ Prime Minister Scholarship awards. 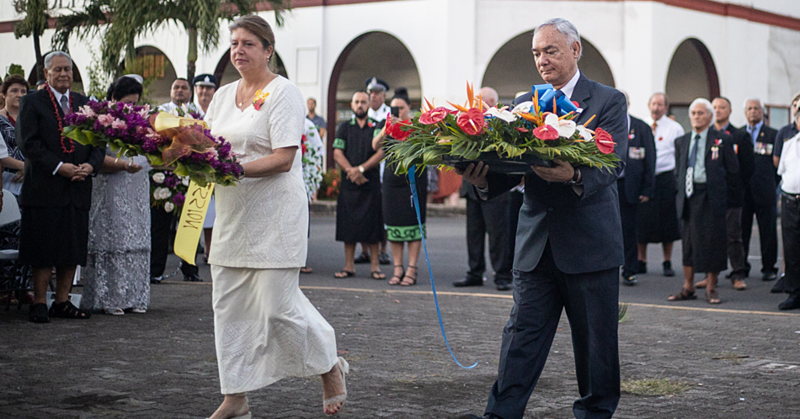 It was initiated by Tofilau — after she was a recipient for New Zealand Prime Minister’s Fellow award — after she was inspired by the benefits of the New Zealand government-funded programme. The then New Zealand PM Toosavili John Key chose her to be the sole awardee of the programme in 2015.